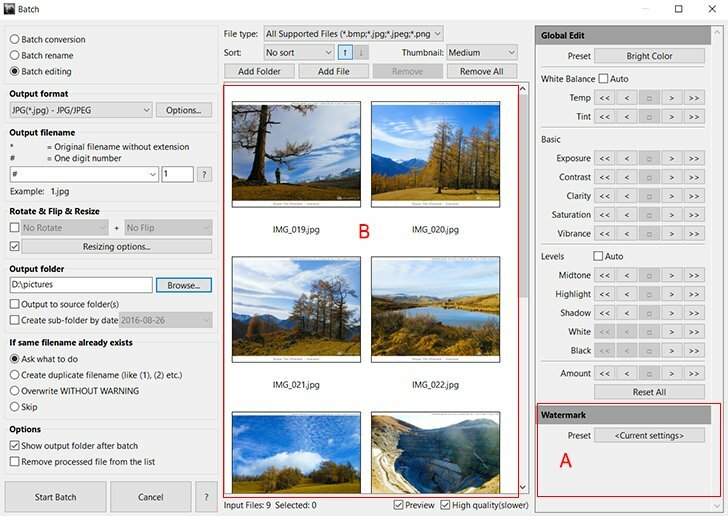 Batch Watermark Photos - User Guide of PT Photo Editor - Easily rescue problem photos. Make every shot its best. Open the batch processing dialog by click “Batch…” button at the top of the main window or select multiple files in the image browser, then right-click and select "Batch...". Add photo files to the input list. 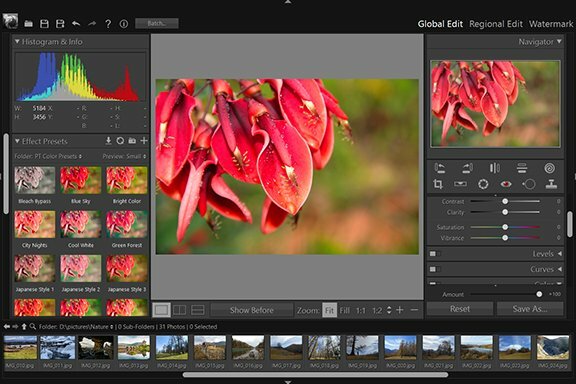 In the Watermark panel, click the Preset button to choose a preset or use current settings. You can preview the photo results in the input list. Click "Start Batch" button to start processing. Note: In order to get the highest quality watermark result, all text and image watermarks and frame will be applied to a photo after resizing, so the output image size may be different from its specified photo size.